It’s Taco Tuesday, or Meatless Monday or you’re craving tacos or something healthy for the new year or you just need a delicious way to clean out the produce drawer in your fridge. Whatever the reason, these gluten free Cauliflower Tacos or Buddha Bowls fit the bill. I’ve been roasting veggies with our family’s favorite homemade spice mix (no onion or garlic, just wicked good flavor!) for forever, it seems, and serving them as a side dish. Here, they’re the main event. Or if you’re in a rush, just throw it all into a gluten free Buddha Bowl (aka a vegetarian bowl filled with gluten free grains like rice or quinoa and other side dishes like roasted veggies). There’s no wrong here — only all kinds of right, healthy, flavorful fillings inside a taco (or 3) or a bowl. You’ll want to bookmark this recipe for later, as it’s so infinitely versatile. 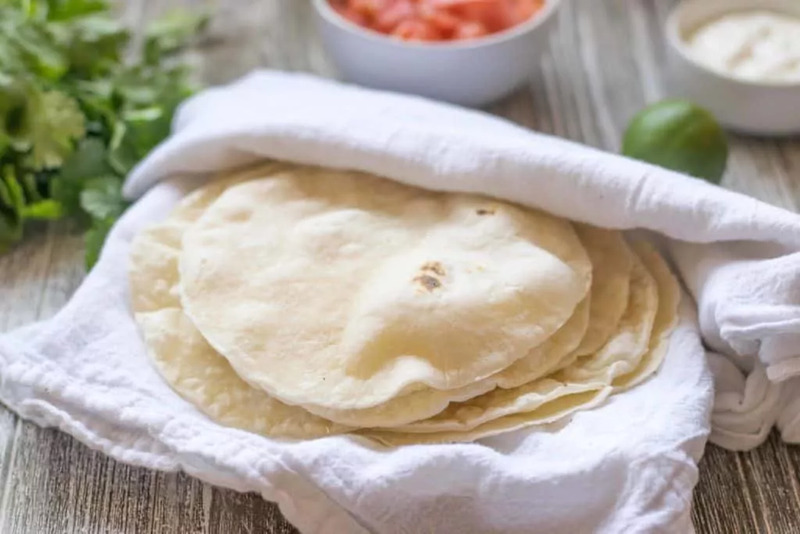 I seriously recommend you whip up a big jar of this homemade spice mix (for everything) and that you do try my easy recipe for gluten free flour tortillas because they are SO good! But even in bowl form, this combo is a winner…. ESPECIALLY when you top it all with this yummy sauce reminiscent of your favorite General Tso’s sauce from that Chinese place down the street where you can’t eat at anymore. While I’ve never made a sauce like this, it wasn’t anything too complicated, especially considering how delish it is! I was inspired to try making my own sauce by my friend Karen from Healthy GF Family blog. My version is garlic-free and has its own twist, but she gets all the credit for putting this idea in my head. As a matter of fact, Karen also has a great recipe for Buffalo Cauliflower + Chickpea tacos with a homemade vegan ranch sauce. MMMmmm. Check out her blog for even more great gluten free dinner options! So tacos or bowls, I hope your family loves these options and the delicious, healthy and full-flavor options these gluten free Cauliflower Taco or Buddha Bowl recipes offer! For more gluten free taco recipes, check out my Peanut Butter Shrimp Tacos, Grilled Veggie Tacos, and Fried Fish Tacos. Also, my Gluten Free Veggie Burritos with Guacamole Dressing are super yummy! Wash and cut cauliflower and broccoli into small 1-1 1/2 inch florets. Distribute evenly and in a single layer onto two foil-lined baking sheets drizzled with avocado or extra virgin olive oil. Sprinkle spice mix lightly over all the florets. Bake for 20-25 minutes, stirring periodically to prevent burning. Rinse and drain chickpeas (garbanzo beans) and distribute over a parchment-lined baking sheet drizzled with avocado or extra virgin olive oil. Sprinkle spice mix lightly over all chickpeas. Bake for 10-12 minutes, stirring periodically to prevent burning. Meanwhile, add diced ginger root to a sauce pan with oil, stirring over medium heat until fragrant. Add remaining ingredients, whisking in the gfJules Flour last and stirring with the whisk until smooth. Prepare the homemade gluten free flour tortillas or prepare rice or quinoa for Buddha Bowls. Fill tortillas or bowl with cooked ingredients and drizzle with General Tso’s sauce. Reserve any extra sauce for leftovers or to serve with another protein later in the week; store covered for up to 2 weeks in the refrigerator. The sesame oil wouldn’t be missed would it? I have a sesame allergy. No you can absolutely make this with avo oil or olive oil instead. Enjoy! Yay! I hope you love them as much as we do!